The bobcat tree has been one of Eric's most popular depictions of the Alaskan spruce tree. 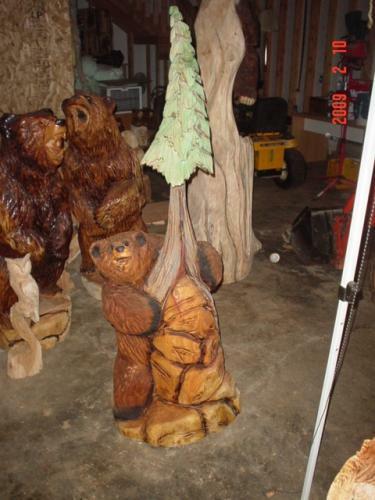 The curve that he created in the top of the tree has fascinated many fans and of course inspired many different versions of trees for happy clients. This tree with the bobcat is approximately 7 feet tall and has a special antiquing stain on it. 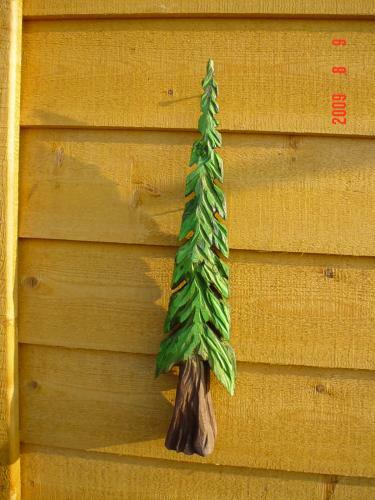 Many clients have had Eric carve them trees that were painted green or just left clear. Each tree is a one-of-a-kind piece of chainsaw art. 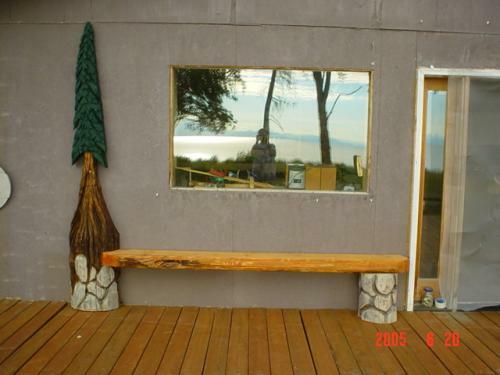 A green version of the Alaskan spruce tree bench. A depiction of an old man in the Alaskan wilderness. Double green Alaskan spruce tree. 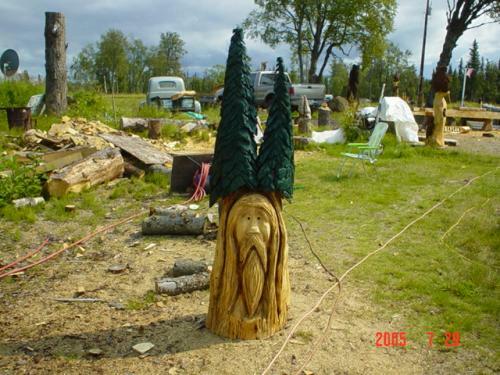 This small chainsaw carved version of Alaska's spruce trees is approximately 1 foot tall. The top is painted green and the base has a brown stain. This little guy looks great on the wall! 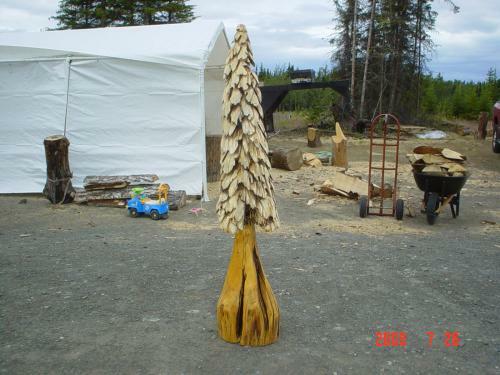 This is clear version of Eric's stylized Alaskan spruce tree. It stands approximately 6 feet tall. How would you like to come across this little guy as you are hiking through the woods? 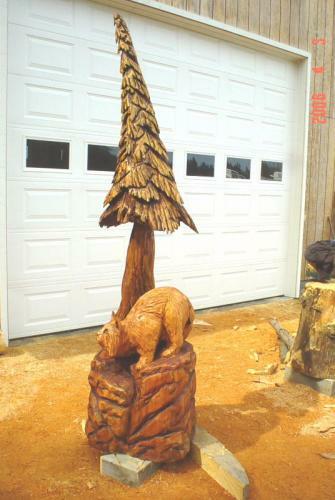 This chainsaw created art work is definitely a piece of whimsy. Notice the unique version of the tree? Folks just love this guy and he looks good anywhere...the porch, the corner, the driveway, or the backyard.